The world was left shell shocked yesterday as Pope Benedict XVI announced his resignation from his position as the head of the Catholic Church. 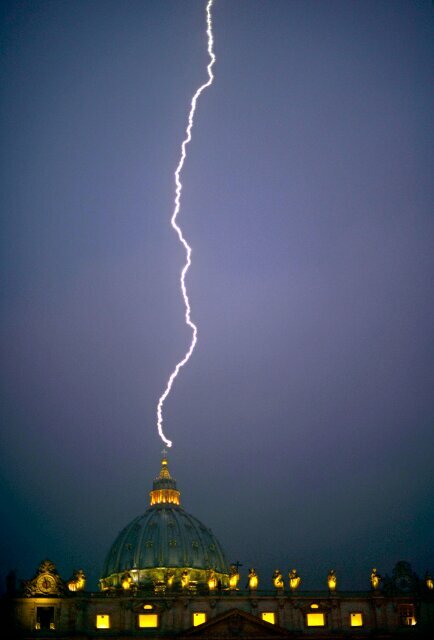 The first Pope to do so in over 600 years. 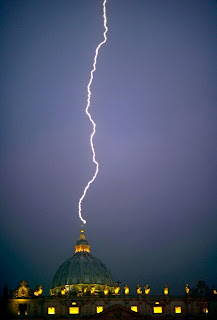 The news had so many people displeased and it seems that the heaven also disagree with the decision, as the St. Peter's Basilica at the Vatican was struck by lightening twice. The incident was captured on camera by photographers working for the BBC.